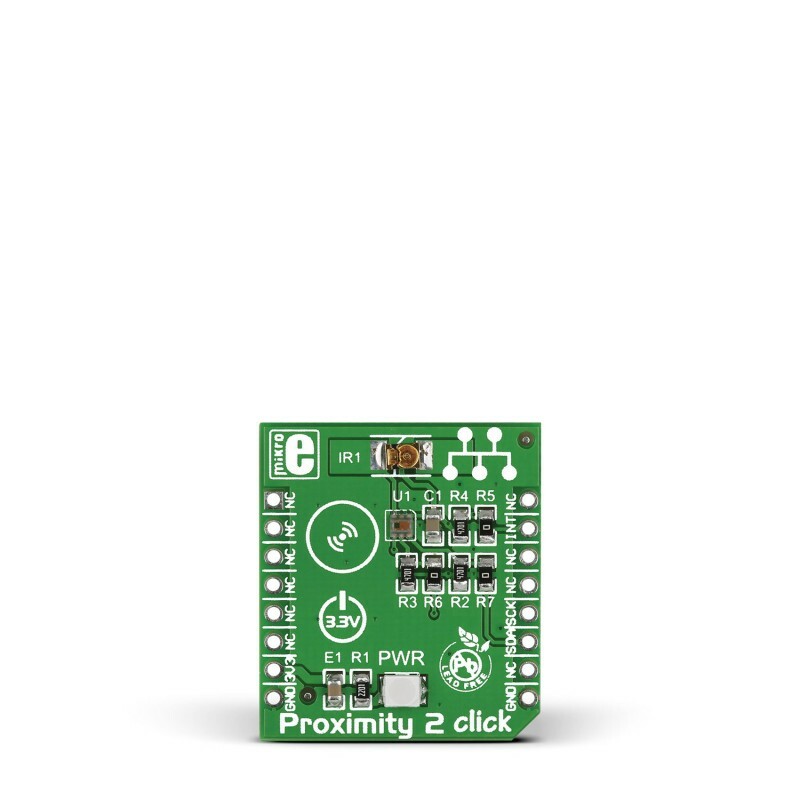 Proximity 2 Click features MAX44000, an IC that integrates an ambient light as well as a proximity sensor. The chip consists of an array of photodiodes that convert light into current, which the internal circuitry then converts into a digital value. 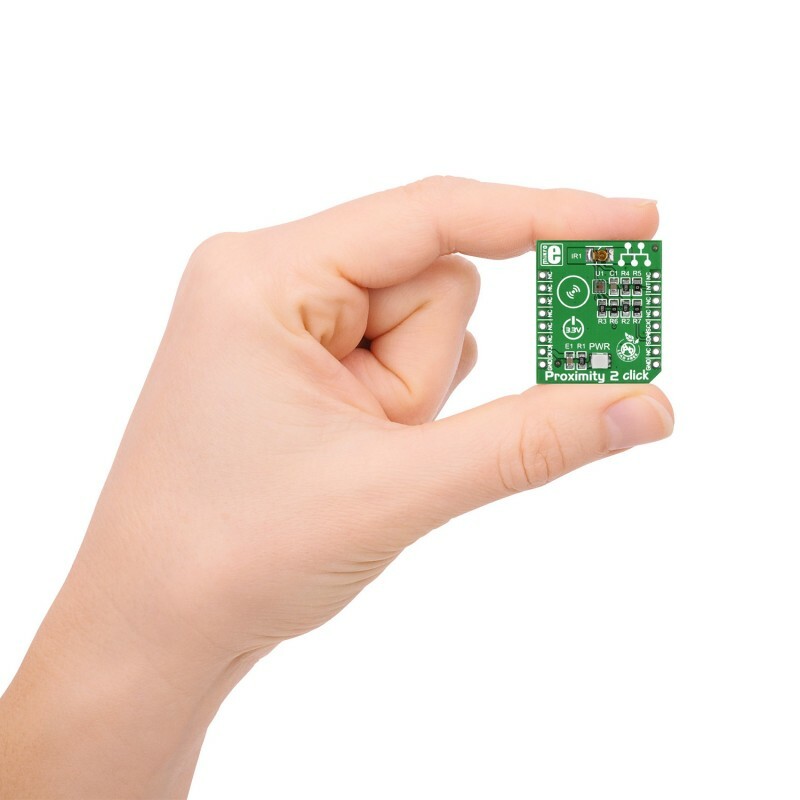 Proximity 2 Click features MAX44000, an IC that integrates an ambient light as well as a proximity sensor. The chip consists of an array of photodiodes that convert light into current, which the internal circuitry then converts into a digital value. The light sensor has a dynamic range of 0.03 to 65.535 lux. The IR proximity detector is matched with an integrated IR LED driver (for the onboard high power infrared LED). 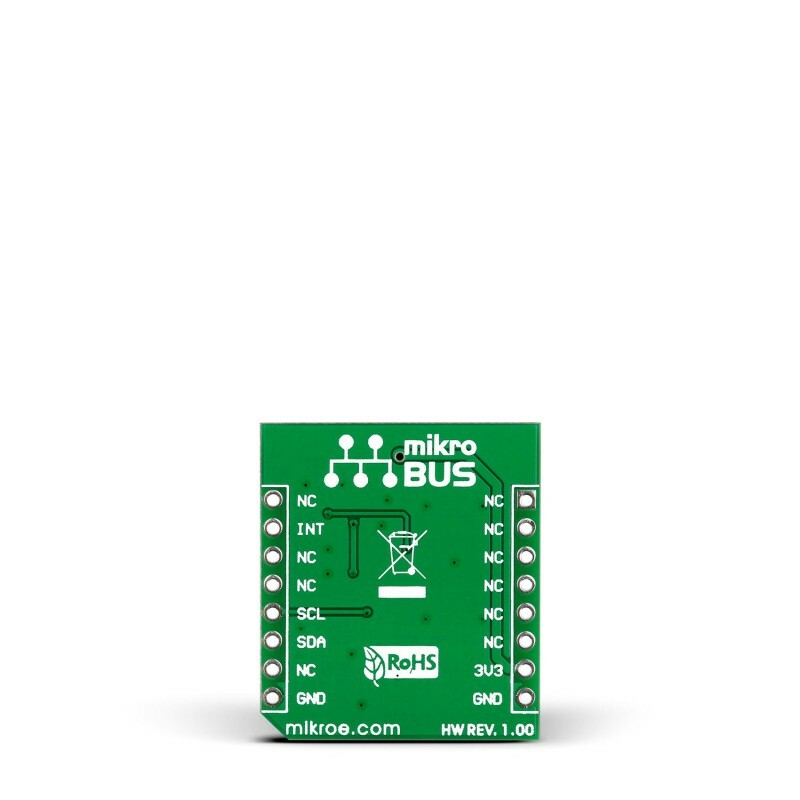 Proximity 2 click communicates with the target board microcontroller through mikroBUS I2C (SCL, SDA), and INT lines. 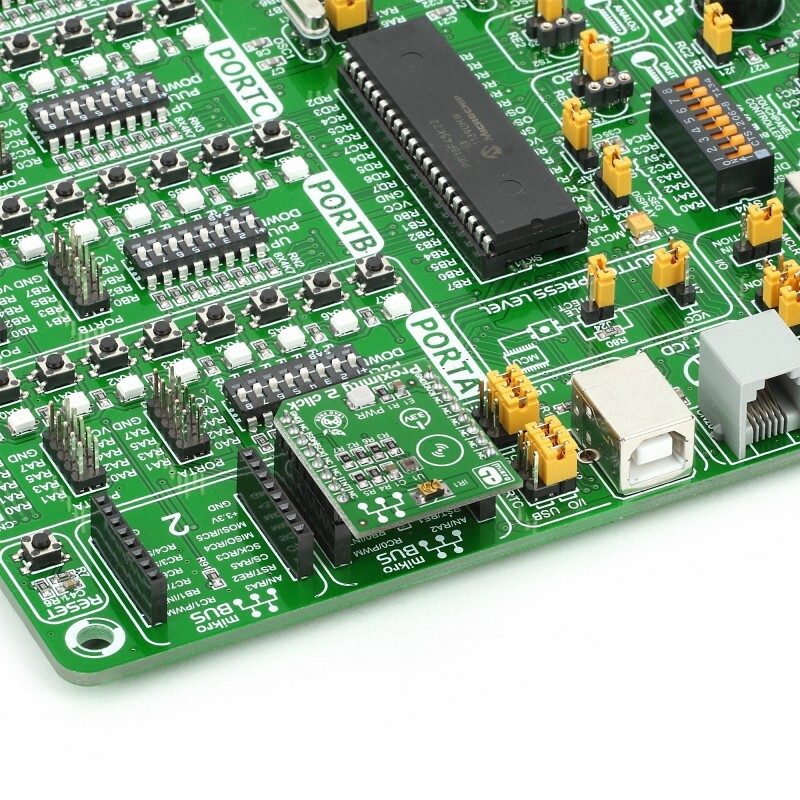 It’s designed to use a 3.3V power supply only.